Do you have an AK-74 clone rifle? If so, then you will need some cheap Russian ammo for it. 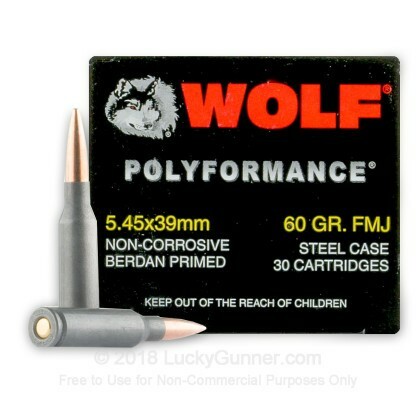 This ammunition is produced by the popular Russian manufacturer, Wolf, as a part of their Polyformance line of ammo. 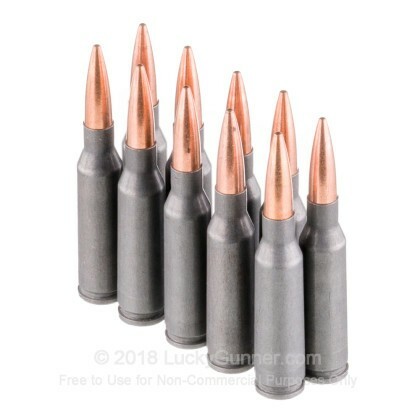 Each round in this box of 30 is loaded with a 60 grain FMJ bullet and uses a polymer coated, Berdan primed, steel casing. These steel casings are very economical and non-corrosive; however, they are not reloadable. 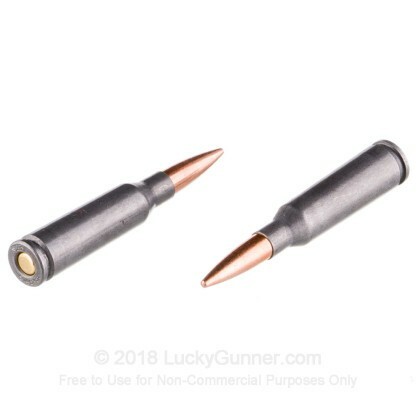 This ammo is ideal for marksmanship training and rifle drills, but is not a good choice for a home defense round. 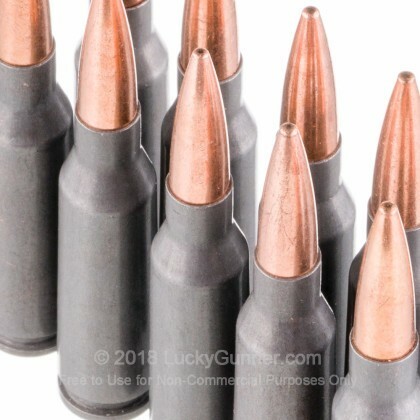 The 5.45x39mm cartridge was first produced in the early 1970s, and first saw action in Afghanistan with the Soviets. The Soviets switched to this round out of a need for their troops to be able to carry more ammunition and a lighter rifle. 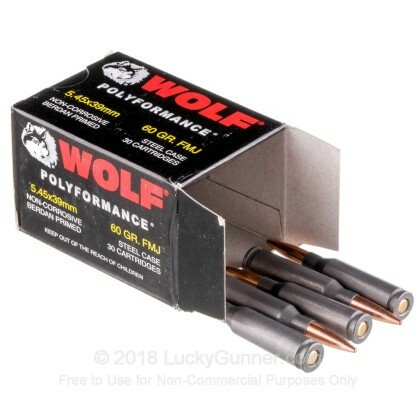 We don't have any reviews yet for this particular 5.45x39 Russian ammo from Wolf. 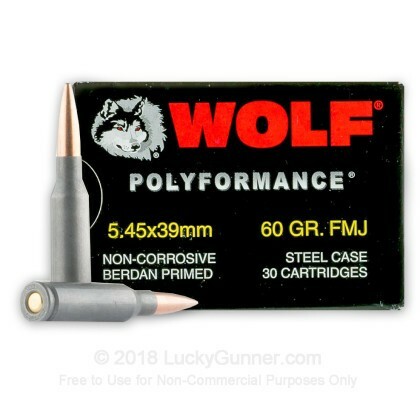 If you'd like to be the first to review this particular 5.45x39 Russian ammo from Wolf, fill out the form below.